Sun., 25 Aug. - Tue., 10 Sep. Tue., 27 Aug. - Fri., 30 Aug. Mon., 2 Sep. - Thu., 12 Sep. Sun., 25 Aug. - Wed., 11 Sep.
Fri., 23 Aug. - Wed., 11 Sep. Mon., 26 Aug. - Fri., 13 Sep. Sun., 25 Aug. - Sat., 7 Sep.
Wed., 28 Aug. - Fri., 13 Sep. Sun., 25 Aug. - Sat., 31 Aug. Sat., 31 Aug. - Sat., 14 Sep.
Fri., 23 Aug. - Mon., 9 Sep.
Fri., 23 Aug. - Sat., 7 Sep.
Fri., 11 Oct. - Tue., 15 Oct. Situated in Jackson, this condo resort is 0.1 mi (0.1 km) from Grand Teton National Park and within 6 mi (10 km) of Teton Range and National Museum of Wildlife Art. Jackson Hole and Greater Yellowstone Visitor Center and Jackson Town Square are also within 9 mi (15 km). Situated in Jackson, this historic condo building is 0.9 mi (1.4 km) from Grand Teton National Park and within 9 mi (15 km) of Jackson Hole and Greater Yellowstone Visitor Center and Jackson Town Square. Snow King Resort and National Museum of Wildlife Art are also within 9 mi (15 km). 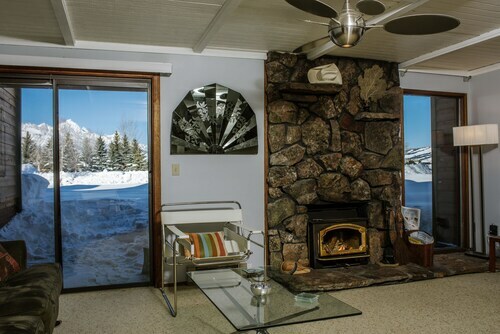 Located in the heart of Jackson, this romantic vacation home is 0.7 mi (1.1 km) from Grand Teton National Park and within 9 mi (15 km) of Jackson Hole and Greater Yellowstone Visitor Center and Jackson Town Square. Snow King Resort and National Museum of Wildlife Art are also within 9 mi (15 km). 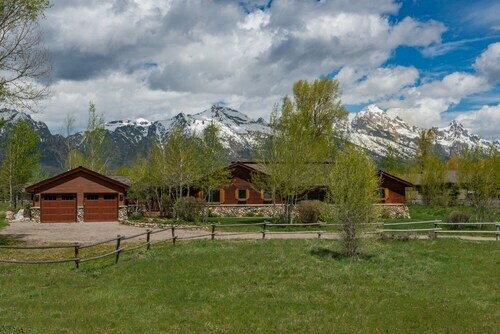 Situated in Jackson, this property is 0.7 mi (1.1 km) from Grand Teton National Park and within 9 mi (15 km) of Jackson Hole and Greater Yellowstone Visitor Center and Jackson Town Square. Snow King Resort and National Museum of Wildlife Art are also within 9 mi (15 km). 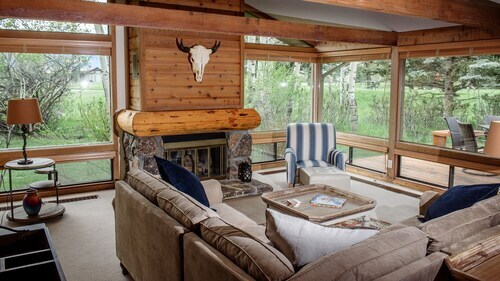 Situated in Jackson, this vacation home is 0.6 mi (1 km) from Grand Teton National Park and within 9 mi (15 km) of Jackson Hole and Greater Yellowstone Visitor Center and Jackson Town Square. Snow King Resort and National Museum of Wildlife Art are also within 9 mi (15 km). Situated in Jackson, this vacation home is 0.7 mi (1.2 km) from Grand Teton National Park and within 6 mi (10 km) of Teton Range and National Museum of Wildlife Art. Jackson Hole and Greater Yellowstone Visitor Center and Jackson Town Square are also within 9 mi (15 km). 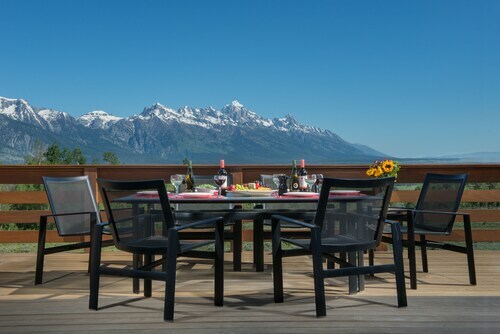 Situated in Jackson, this vacation home is 0.5 mi (0.8 km) from Grand Teton National Park and within 9 mi (15 km) of Jackson Hole and Greater Yellowstone Visitor Center and Jackson Town Square. Snow King Resort and National Museum of Wildlife Art are also within 9 mi (15 km). Flights from Pearson Intl. to Gregorio Luperon Intl. Flights from Pearson Intl. to Orlando Intl.